The cable is a corrosion-resistant PVC coated galvanized steel aircraft type cable. Strong and durable. Flexible 7x7 construction galvanized steel wire rope has a PVC coating. Cable before crimping is 5.5" in length, and forms a approximately 2" diameter key ring. You can hold about 5-7 regular keys on this ring. 5.5" Length (Forms a 2" Circle). 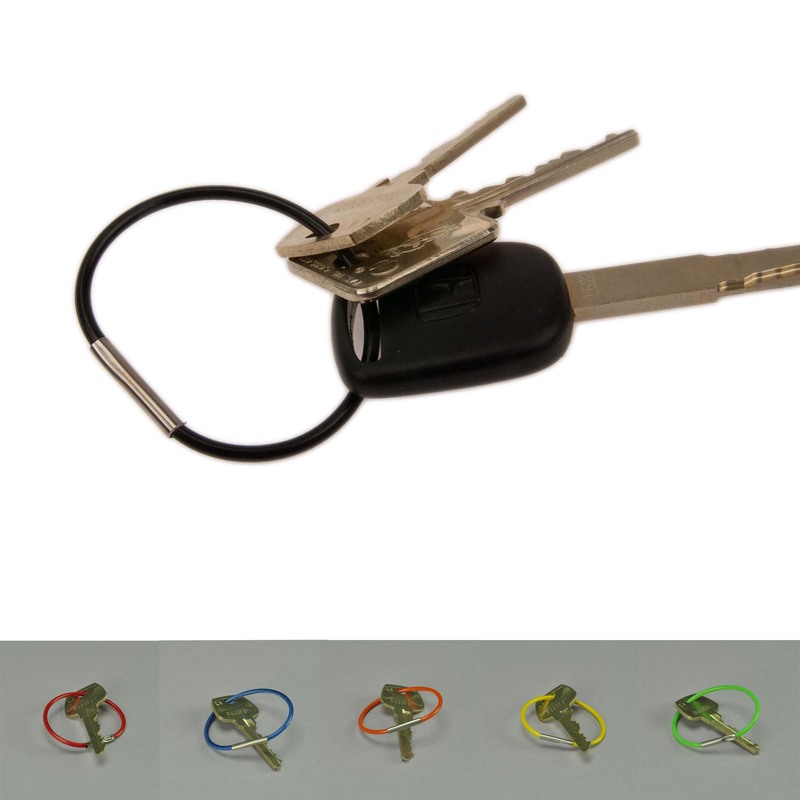 Tamper Evident, Crimp Closure ensures keys are not removed without your knowledge.